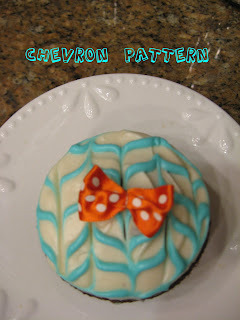 feathering/chevron... close enough for me. 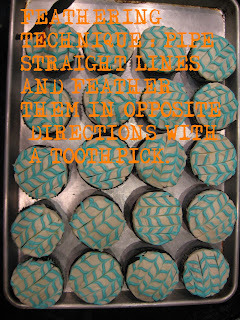 this was the invitation/inspiration and the chocolate "stash" makes for a perfect cupcake topper. I had to make all these things the night before, so I didn't get pictures of the cupcakes the day of the party, but you get the idea! make cake mix according to package. in a seperate bowl mix cream cheese, sugar and egg until well blended, fold in chocolate chips. fill chocolate batter 1/2 full. drop filling by teaspoon full into each cupcake. bake 350 for 20 min.